If you are a recent graduate or will be graduating in the next year then this event is for you! Join us for the last event of Creative Enterprise Month. You will have the opportunity to come and listen to speakers who have previously walked down your road and have experienced all of the squalls and turbulence of the recent creative graduate. Sit in on the workshops, Q&As, listen to speakers, or take advantage of internship opportunities. 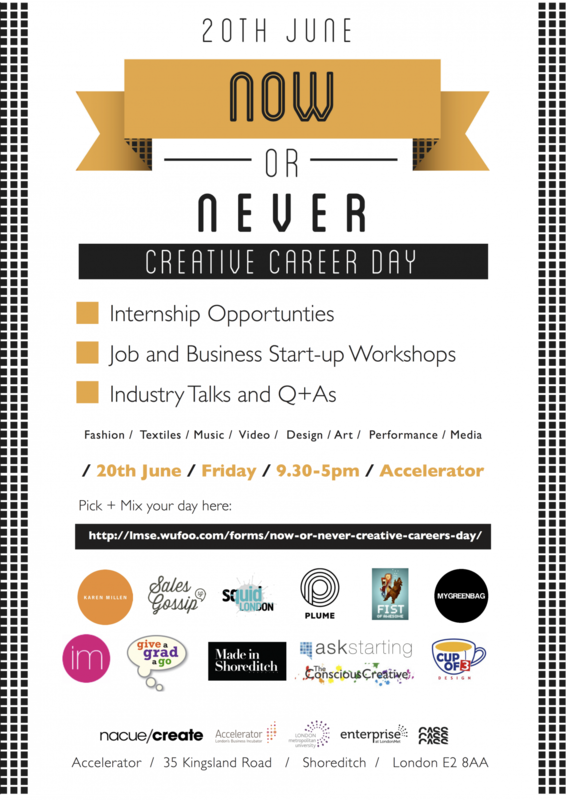 Students and graduates can pick and choose from a variety of events during Now or Never Creative Career Day. So come and learn the skills to get started, get advice from those already in the industry, land an internship with a company, and begin your career in creative enterprise.